Today we continue our series, “Why We Believe, What We Believe.” The purpose of this series is to reacquaint us with the fundamentals of our faith. For some of us this is an important review. For others who are new to our church, you’re finding out exactly where we stand so you can make an informed choice about your attendance and involvement. I do recommend that if you were not here the other messages in this series, I would encourage you to go to our Resource Center in the lobby and get the CD’s or go online and download them. I stand before you today in this pulpit, with an impossible task. How do you explain the Trinity? 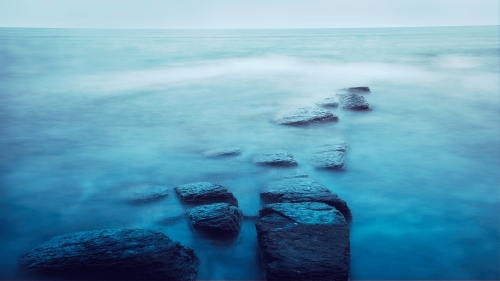 How does a human with limited intelligence comprehend the complexities of who God is? Today, my goal is not to have you leave being fully able to explain the Trinity, because greater minds than mine, scholars who have committed a lifetime to the study of the Scriptures have come away like children, unable to comprehend the fullness of the Trinity. John Wesley said, “Bring me a worm that can comprehend a man, and then I will show you a man that can comprehend the triune God. 2) We study the Trinity, because the Bible teaches this doctrine. And as we said last week, if the Bible is indeed God’s written revelation to us, then we must know and study what it says. 3) No other explanation of God makes sense. 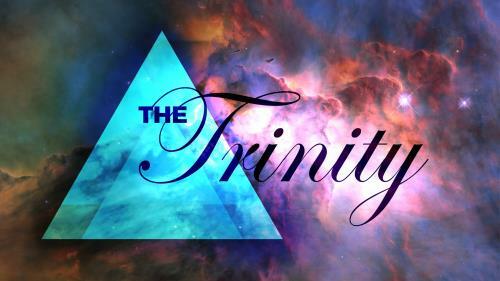 If you are to be a Christian in the Biblical sense of the word, you must believe in the Trinity. There is no other way to make sense of the revelation of God as written in the Scriptures. 4) There is much confusion and general fuzziness about God. We live in perhaps the most religious/spiritual time in history. I see a rising pluralism, which is to say that any approach to God and any way of viewing God is okay. Even we Christians have a tendency to create a God of our own making, vastly different from the God revealed. So we as believers must sharpen our knowledge of the Biblical view of God so we know what we believe and why we believe it. 5) Studying the divine character of God puts us in our proper place. 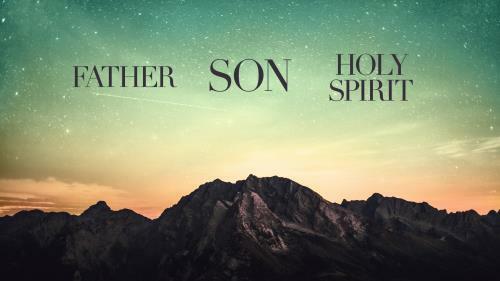 Studying the Trinity gives God his proper “bigness” and our proper “smallness.” My hope today, after this message, is not that your head is crammed full of ideas about God, but that you humbly bow your knee before your God. Studying the Trinity should trigger the most amazing worship of our amazing God. Someone once said that if you try to explain the Trinity, you’ll lose your mind, but if you deny the Trinity, you’ll lose your soul. Believe it or not, the issue of the Trinity was a divisive issue in the early church. Three issues were central: the unity of God, the deity of Christ, and the personality of the Holy Spirit. The unbelieving Jews often leveled the charge that the Christians worshipped three gods. If you remember, Jewish people were proud of their mono-theism, that is to worship one God. They recited the shama from Deuteronomy 6:4: “The Lord our God is one Lord.” They ignored the many expressions of the Triune nature of God in the Old Testament. On the other hand, the church wrestled with the relationship of Jesus with the Father. Many theories abounded, such as the idea that Jesus was a mere man or divine, but inferior to the Father. Others like Arius claimed that Jesus was the greatest of all created beings. He was eventually declared a heretic by future church councils.